A child’s musculoskeletal system demands highly specialized, multidisciplinary care from a team with pediatric experience. 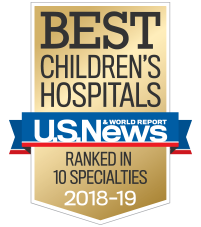 Look no further than Children’s for the care your patients deserve. To refer a patient to our Scoliosis Screening Program, call 404-785-7553. Please complete our online referral form, or download our referral form and fax a completed version to 404-785-7576. Our team is pleased to share information and guidance with your team, simply fill out the appropriate online request form below.